PROBLEMATIC: When a special guest comes on the show, and over shadows anything you do on the night (well, almost)… then that doesn’t bode well for your show. Then again it is noted comedian Leonardo DiCaprio making his first SNL appearance. Thumbs up. PROBLEMATIC: It WAS a distinctly Jonah Hill-led episode, a rare thing in the modern SNL era, especially with a cast this large and hungry. So what seemed lacking this week where any sketches that allowed the cast to stretch out, admittedly a go too style of sketch this season. Instead Jonah Hill was allowed to take point. Especially with the Hill’s own reoccurring character in the Benihana sketch (this time minus Bill Hader to its detriment), as well as the later in the show “You’re Blowing It!” sketch, among others. Though Hill was game, he didn’t have charm of last week’s host Drake, and thus it feels like a down week in comparison, to no fault of the sporadic cast. QUALITY: Let’s wrap-up this truncated P’s and Q’s today on a HIGH note though. Now, I saw Spike Jonze’s new film “her” just yesterday, and not only did I really love it… you can tell the SNL production staff did too, sufficiently NAILING the wonderfully stylized look of the film, almost as impressive a turn around as the Wes Anderson/Halloween spoof. An amazing parody, going after the details. QUALITY: The night’s OTHER surprise appearance was especially on point, and bums me out that Michael Cera doesn’t look to be hosting SNL any time soon, not on NBC at least. And by that I mean his first and only time hosting (so far), a Writers Strike-timed UBC appearance as host was more then serviceable (oh, and to draw a connection to Cera as the surrogate, shout out to his Youth in Revolt co-star Portia Doubleday). QUALITY: Otherwise, let’s slot Jonah Hill just below Miley Cyrus in this season’s unofficial power ranking of hosts (able, though not spectacular, with a few memorable sketches of the video variety)… and leave the Deep Thoughts to the podcast. GO, LISTEN TO IT! Press play! You can poke at the points totals, while you do. MUSICAL GUEST - Bastille - SONGS: No songs chosen. LISTEN TO THE PODCAST! 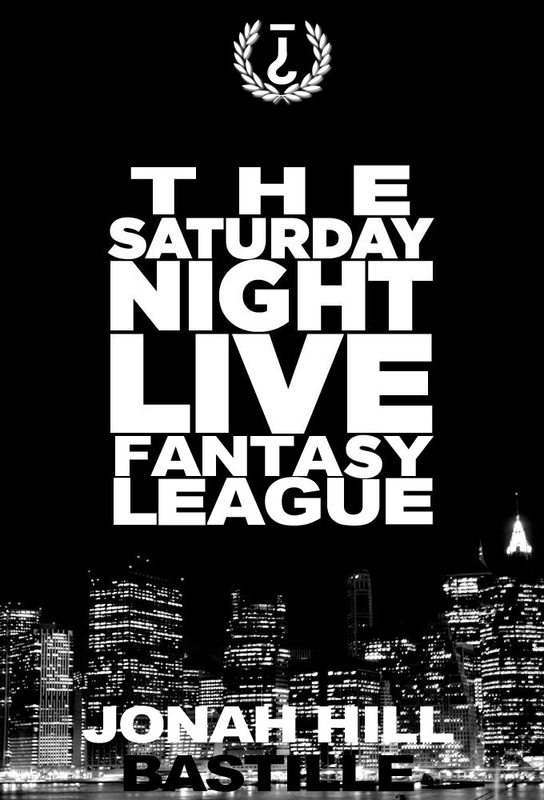 Have you heard about it, we’re doing a podcast for the SNL Fantasy League now! And by we I mean championed by, and hosted by, the wonderful Rob Moden, alongside Brian Edwards and Leah Sueko. I will be popping in from time-to-time, but Trivia Club’s is a growing empire and I trust Rob, Brian, and Leah, so enjoy your time with THEM most of all. After last week's show where it seemed a good variety of the cast was allowed to stretch there legs, the Saturday Night Live crew went small ball in the Jonah Hill episode and the resultant reliance on Jonah Hill as a host, with Taran Killam and the one-two punch of Strong and McKinnon, along side Hill, made for quite the disparity in team points for this episode. The Ignorant Sluts also had the strongest performance from a Featured Cast member by far, with Beck Bennett's 40... closing the 20 point gap that once lay between fist and second and opening up a 10 point gap of there own! 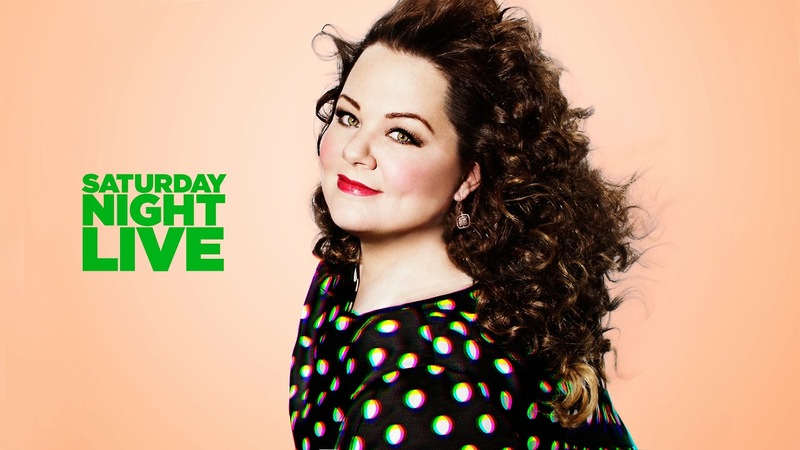 It should prove interesting to see how ANOTHER returning host, in Melissa McCarthy (wooo, Million Dollar Bill Murrays HOST PICK), continues to shake up not only the standings but the amount of cast-time is chopped up heading deeper into the second half of the season. Of course, McCarthy isn't even the most notable thing about the next episode (you watch your mouth! ), as it's also Seth Myers final episode of SNL before he goes the way of Late Night. So look for a BIG Weekend Update, and look for a lot of returning cast members next week since Myers will be saying good-bye after 24 seasons as part of the show. Which is how long Imagine Dragons performance at the Grammy's felt... (ooo, sick burn, but seriously less Imagine Dragons and more Kendrick Lamar), but SERIOUSLY, see you NEXT WEEK when we talk SNL, write about SNL, and discover the competitive spirit of SNL, with more Fantasy League!